As an architect or interior designer, you want a general contractor you can trust with your clients and vision. WORKS by Jesse DeBenedictis is your partner in bringing your vision to life and bringing joy and satisfaction to your clients on the North Shore of Boston. Fully licensed by the state of Massachusetts (# CS 91245 and HIC # 132798), WORKS by Jesse DeBenedictis has developed a loyal clientele in Marblehead, Beverly, Salem, Ipswich, Essex, Rockport, Gloucester, Manchester-by-the-Sea and other towns on Boston’s North Shore. Those clients include architects and interior designers who recognize our high standards and our contribution to their projects by returning to us again and again. We are the only fully licensed contractor in the region who offers Buildertrend, an online tool specifically designed for managing projects. Buildertrend keeps you informed of onsite progress through daily postings and photos from the WORKS team; allows you to raise and answer questions before small matters become crises; and provides a clear record that can be accessed at any time. 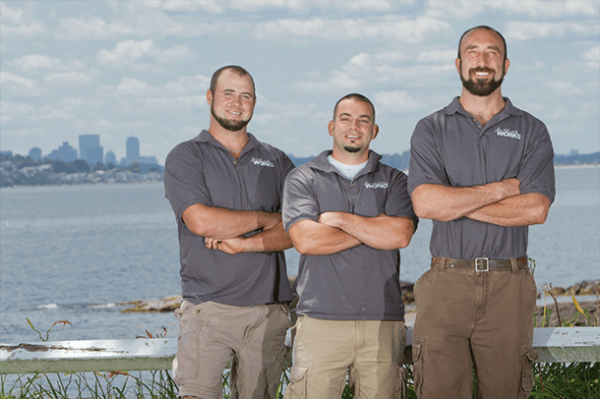 The WORKS team, led by owner and general contractor Jesse DeBenedictis, is ready to help you lift your project off paper and into the real world.